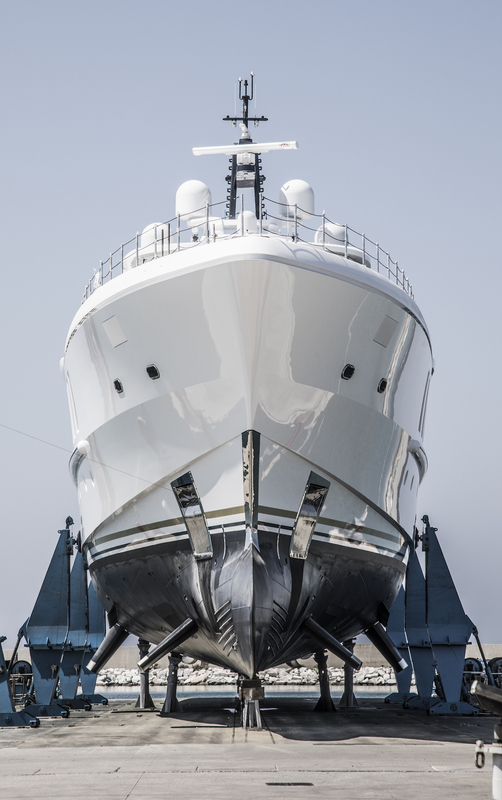 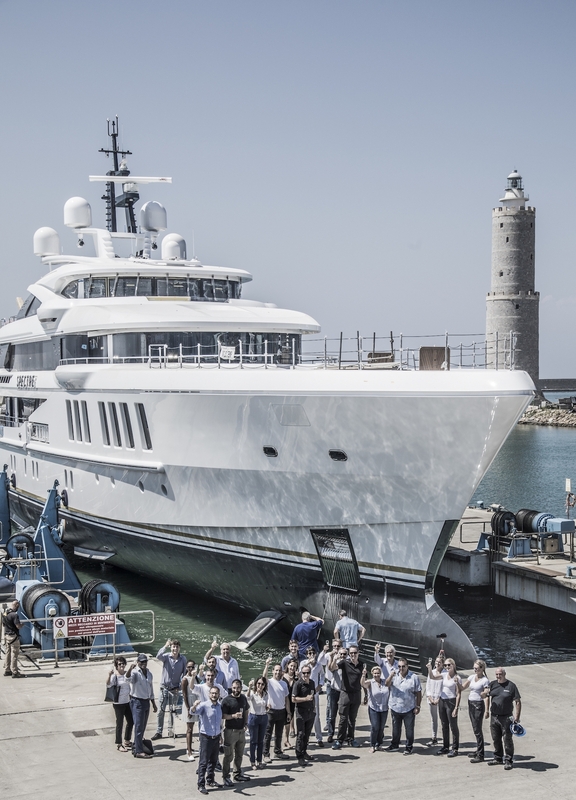 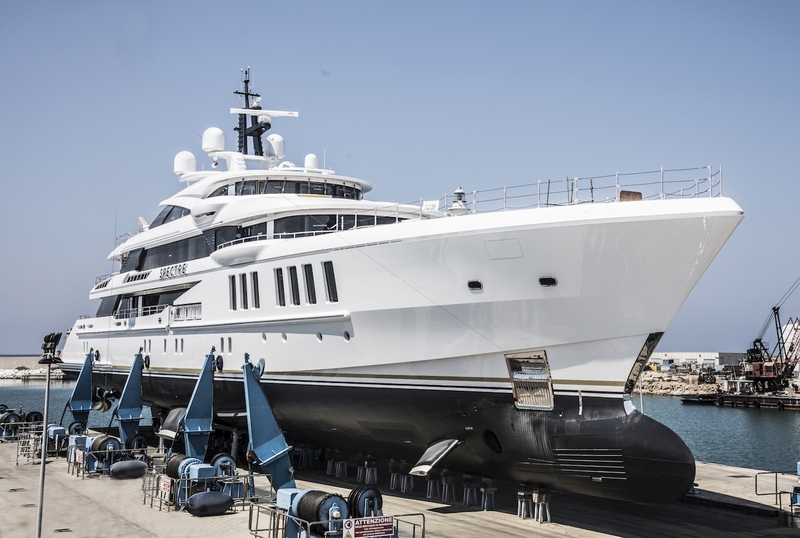 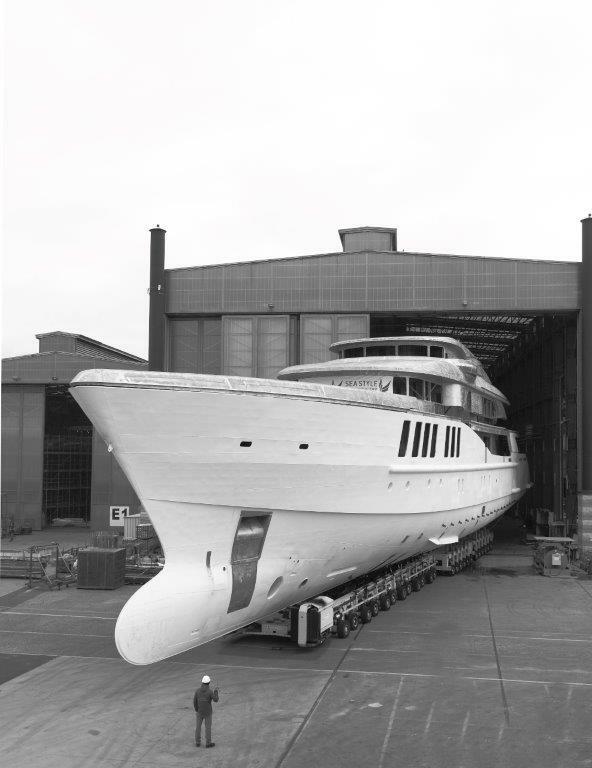 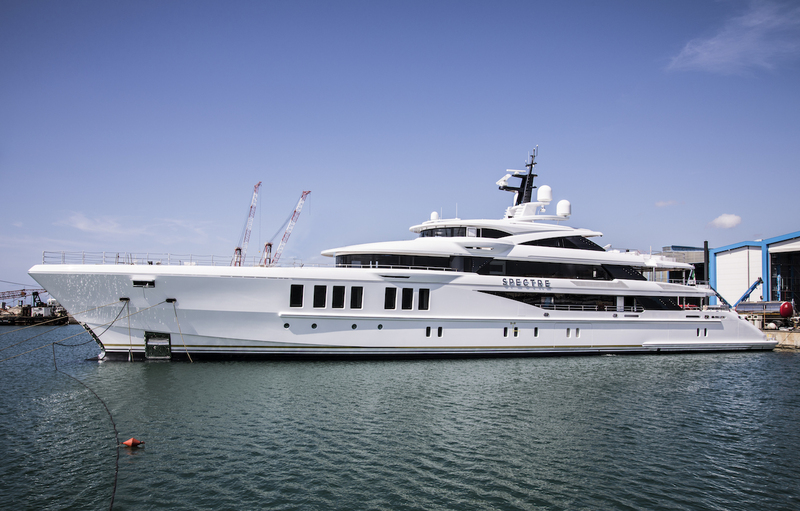 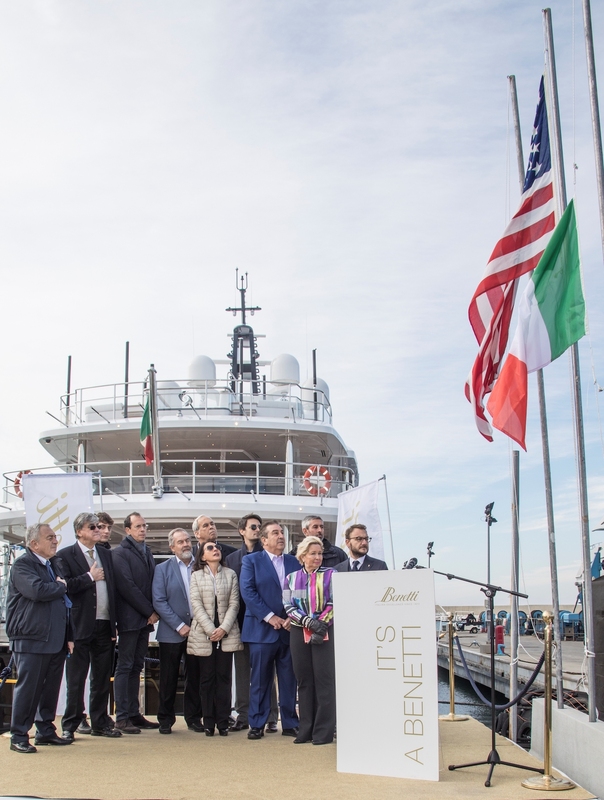 With the launch in 2018, superyacht SPECTRE (FB269) is a striking 69.20m (227') semi-displacement full custom vessel, built by the prestigious Italian shipyard, Benetti. 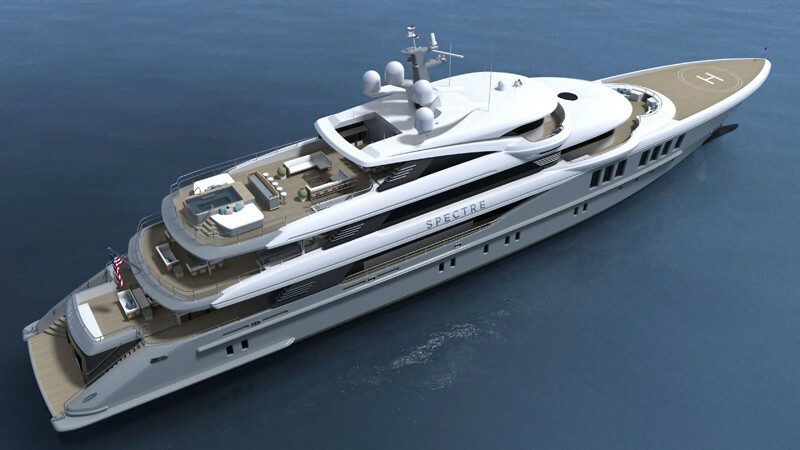 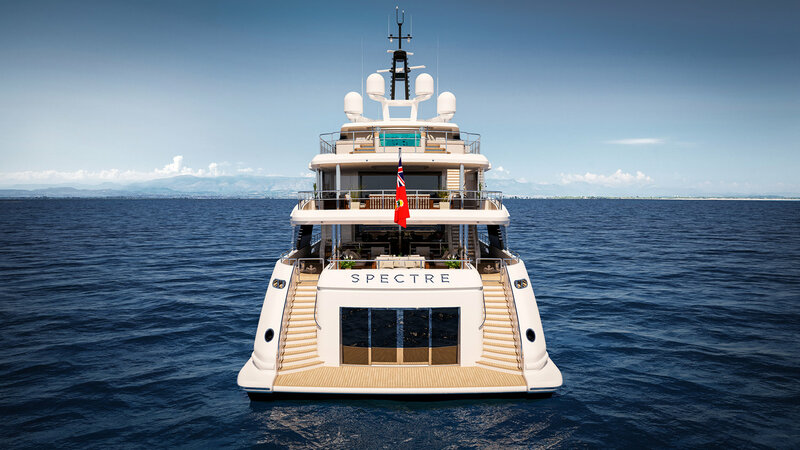 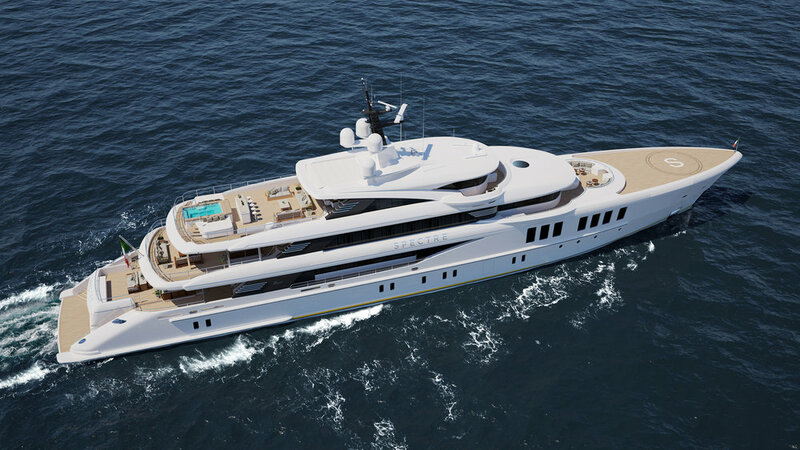 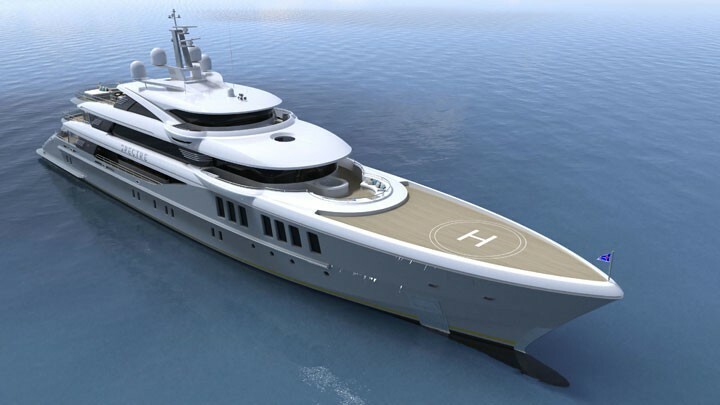 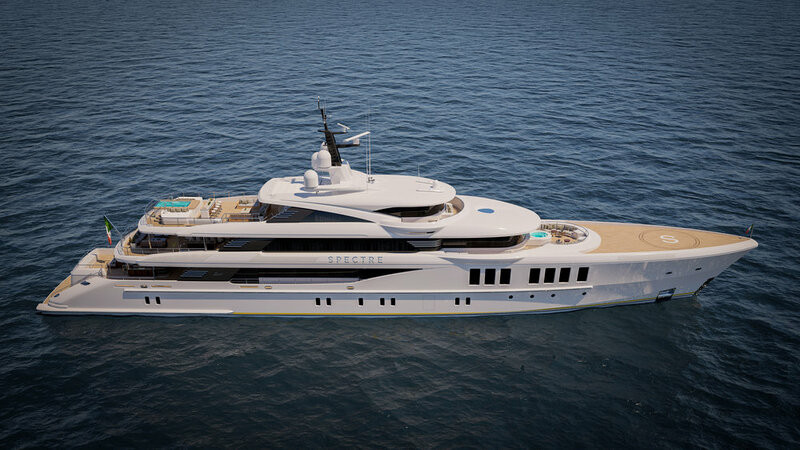 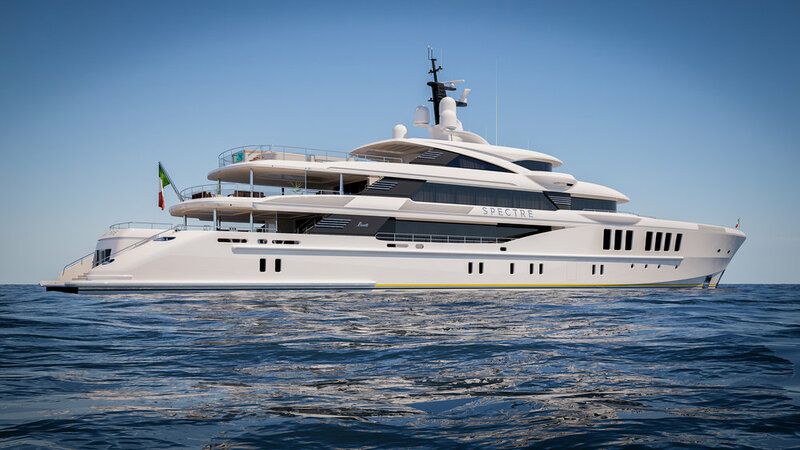 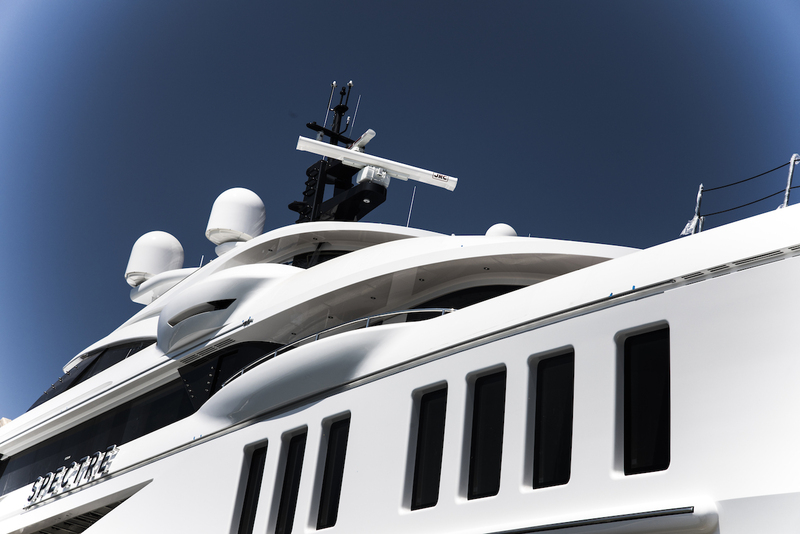 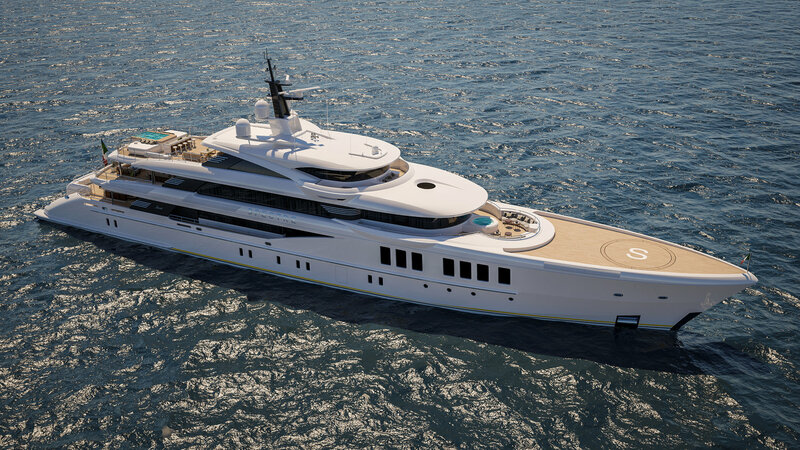 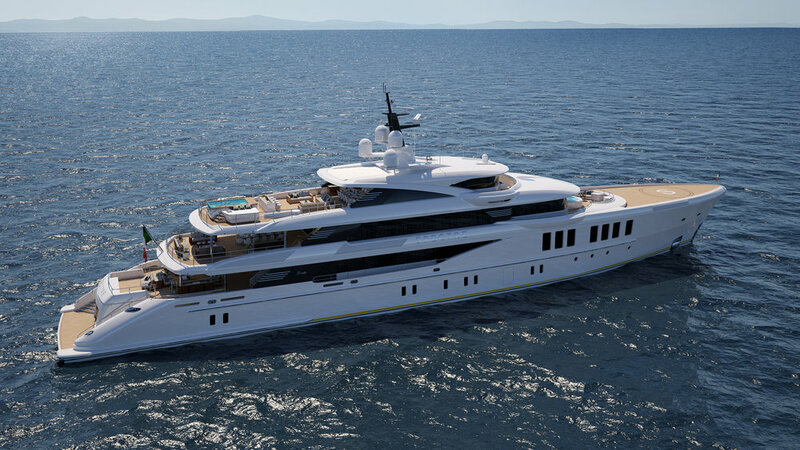 With naval architecture by Frank Mulder and the yard’s engineering team, luxury motor yacht SPECTRE boasts sophisticated exterior design by Giorgio Cassetta and the yard's in-house design team. 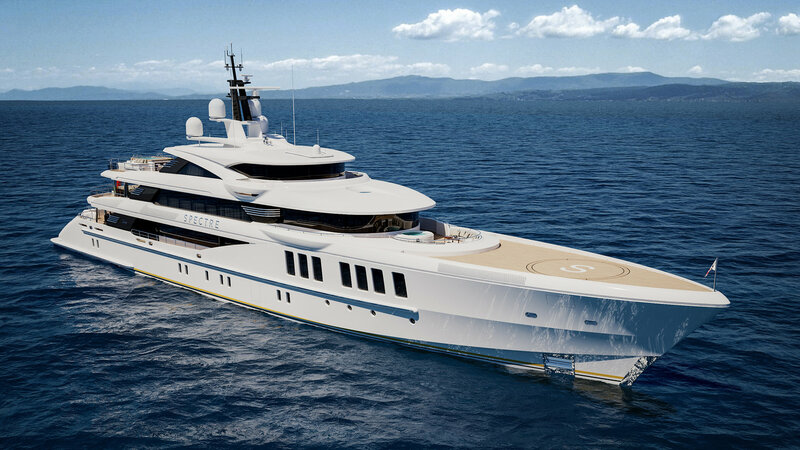 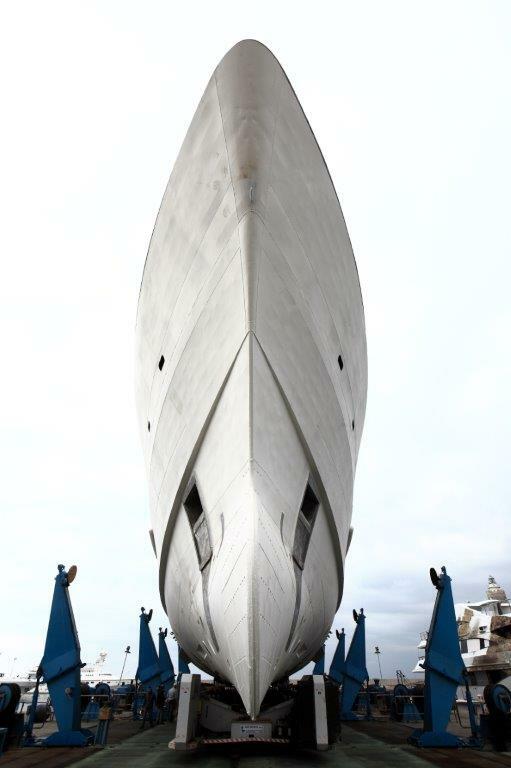 She can accommodate up to 12 guests in 6 staterooms and has a professional crew of 14. 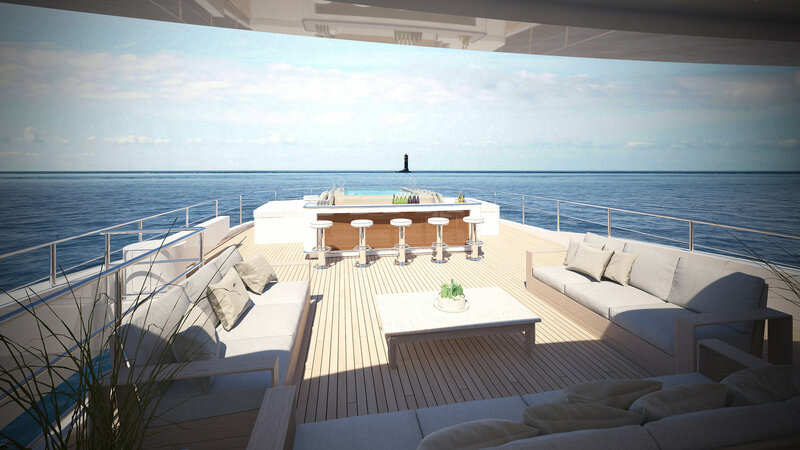 The ample exterior living areas make use of the 11.7m/38.4ft beam for broad party spaces, dining areas and alfresco lounges. 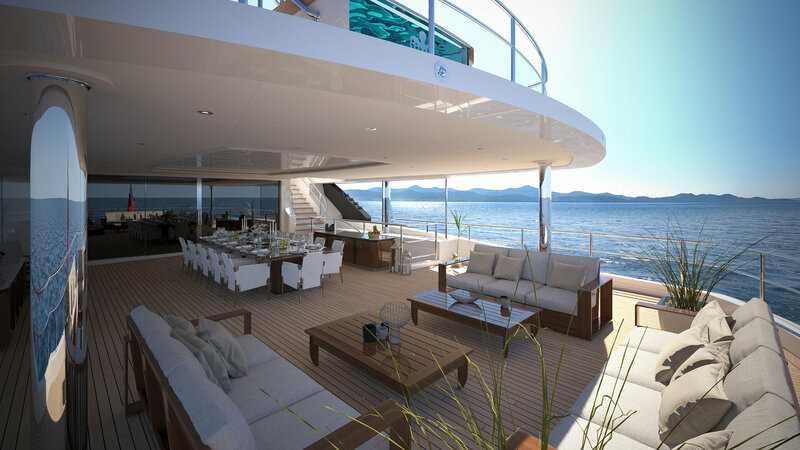 On the main deck aft guests arriving by tender are greeted with seating placed out in the sunshine as well as beneath the upper deck overhang. 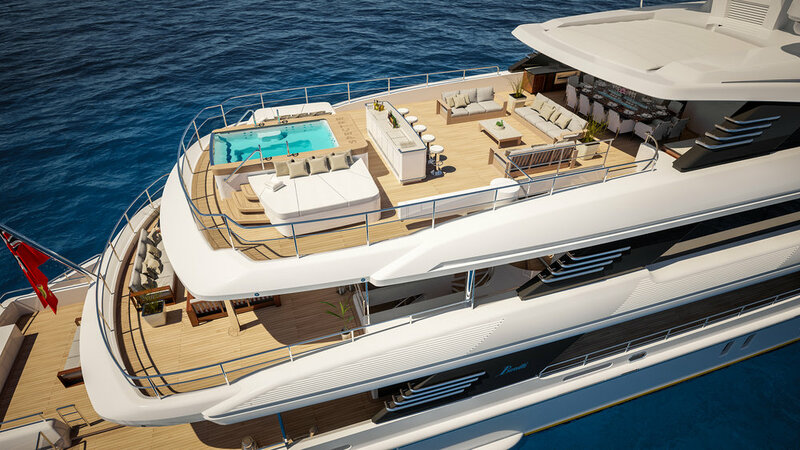 The foredeck has a circular seating area and Jacuzzi close to the Master suite, leaving the rest of the foredeck free for the helipad and alternative use for sunbathing, observation and exercise. 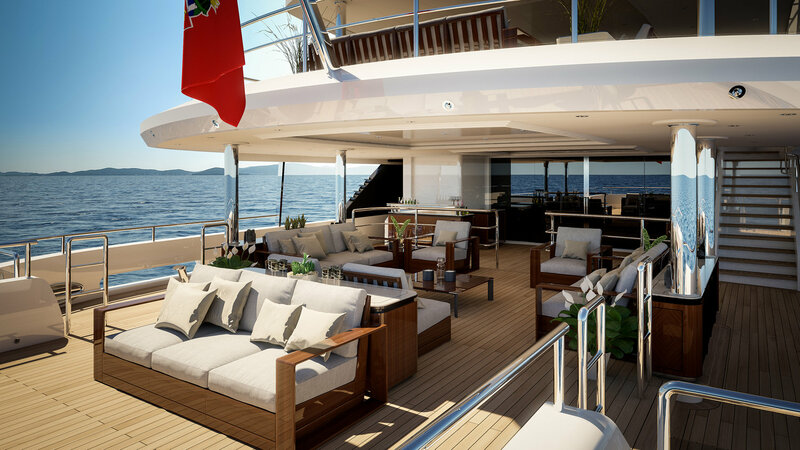 The bridge deck aft is designed for alfresco dining in the shade and seats a group of 12 in comfort before they enjoy after-dinner refreshments on the three plush sofas farther aft. 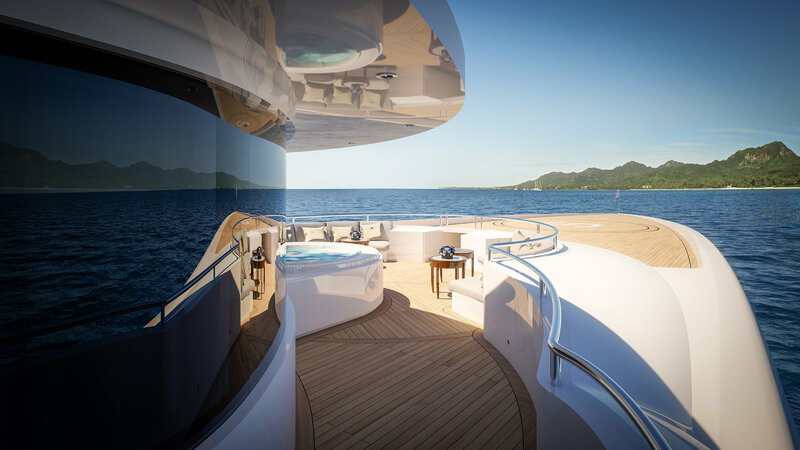 The bridge deck has a plunge pool that takes in uninterrupted aft views and two double sun pads are placed wither side for drying off in the sunshine. 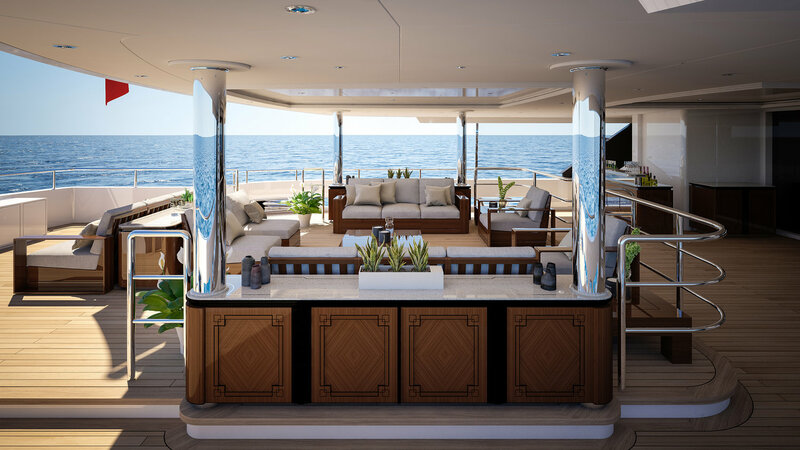 In the middle of the sundeck aft is the wet bar, ideally positioned to serve guests in the pool or resting on the two sun-drenched sofas close to the doors to the bridge deck interior. 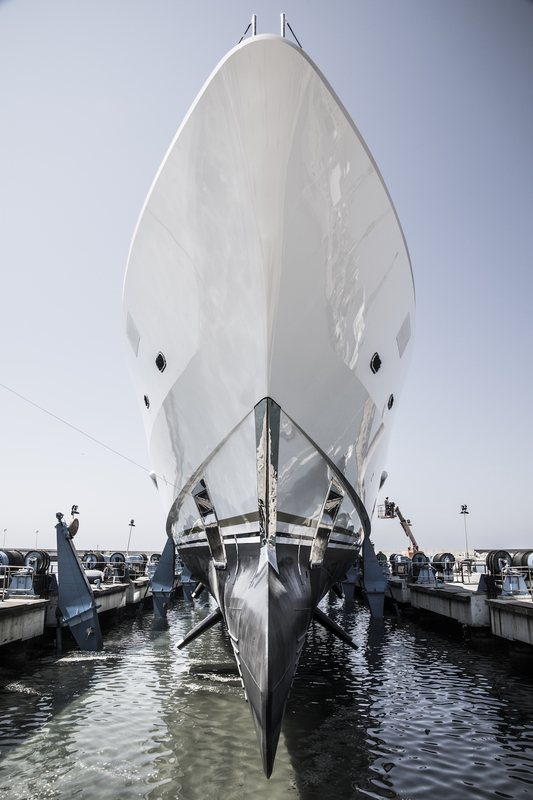 The interiors use Art Deco and Liberty styling using contemporary touches such as Armani fabrics and modern materials for the clean-cut geometric shapes. 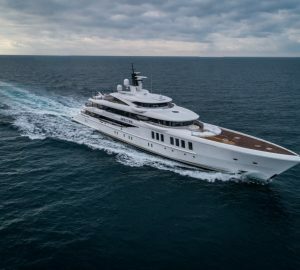 As well as the main salon and formal dining area, there is en-suite accommodation for two Master suites (one of which has its own private terrace with hydro-massage tub), two VIP staterooms placed upon the main deck and two other guest cabins on the lower deck. 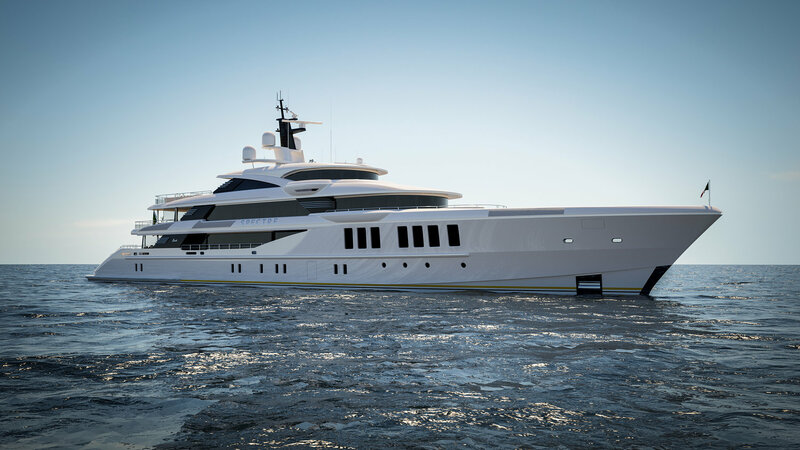 Using twin MTU 12V 4000 M93L engines, superyacht will be capable of an impressive 6,500 nautical miles at an economical 12 knots, a cruising speed of 20 knots and a top speed of 21.2 knots. 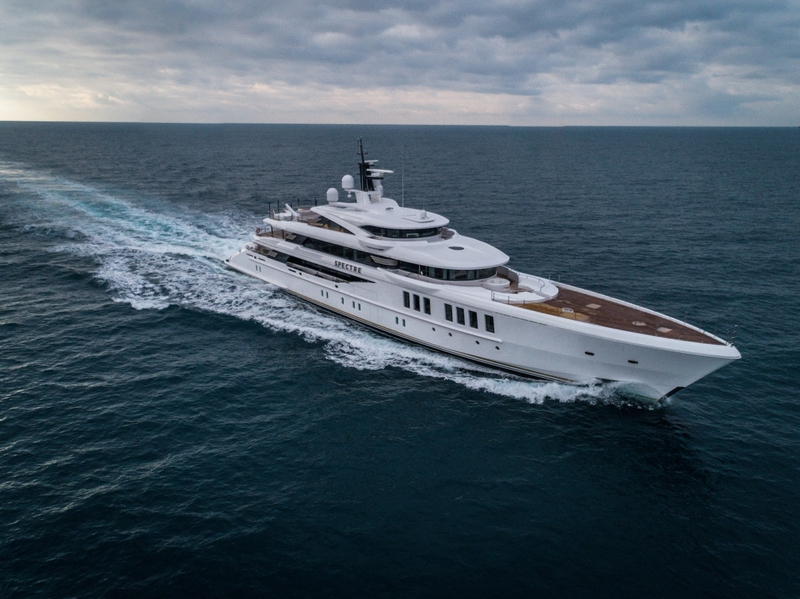 The accommodation sleeps a maximum of 12 guests across 6 sizable en-suite cabins: 2 Master suites, 2 VIP staterooms and 2 guest cabins. 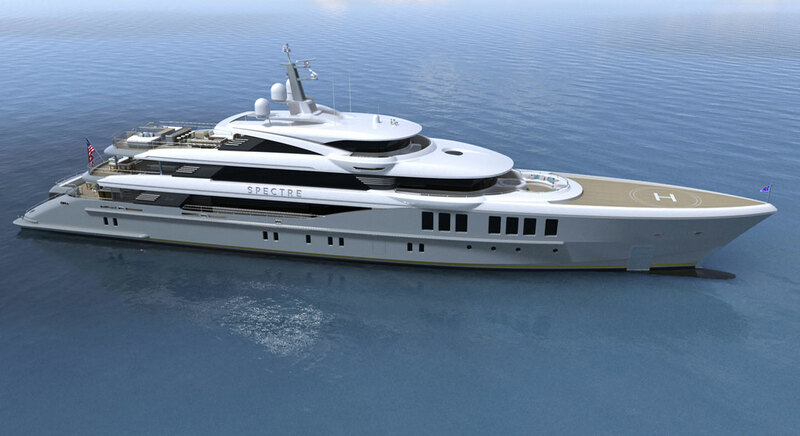 We do have available further amenity, owner and price information for the 69.20m (227') yacht SPECTRE, so please enquire for more information.